By Dr Charles Shepherd, Hon Medical Adviser to the ME Association. As ME Association members will know, the Rt Hon John Bercow MP – Speaker of the House of Commons – is one of our Patrons and John has helped us in various ways over the years. But we have never asked John if we could make use of the State Rooms in the Speaker’s Residence for a high profile parliamentary meeting on ME/CFS. This is something we have been saving for a special occasion – and a parliamentary screening of ‘Unrest’ has turned out to be a very good choice indeed! So, I’d like to thank John and his staff at the House of Commons for all the help and advice they have given us over the past few months in organising this event. 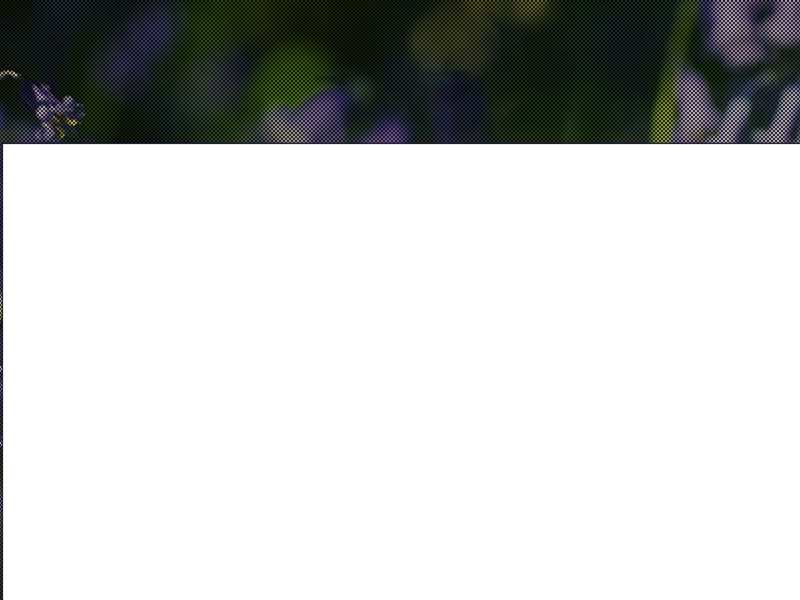 Big thanks are also due to Lucy Wilson and her team at Shella Films (the UK production company that has been organising publicity and screenings of the film), and Sarah Reed and #MEAction for organising the early day motion campaign. I would also like to thank three ME Association trustees in particular – Martine Ainsworth-Wells, Nicki Strong and Nicola Anson – who have spent an enormous amount of time and effort organising what turned into a very well attended and successful parliamentary event that lasted almost two hours. I was the last person to leave the House of Commons at just after 2.30pm! 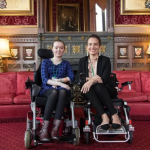 “As a Trustee for the ME Association, I was proud to go to the Houses of Parliament on Tuesday 24th October, where our Patron John Bercow hosted a screening of the Sundance award-winning film ‘Unrest’, in the Speaker’s State Rooms. 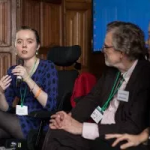 “Our aim was to raise awareness of the seriousness of ME/CFS, why we need help to find a cure, and to inform MPs of the economic cost of the illness in the UK. “MPs heard that in the UK, 250,000 people are directly affected by ME/CFS and many more are their carers. Family life, education, and the ability to work can all be severely disrupted. “Unrest shows the profound consequences of ignorance and neglect by our public health, medical, and research systems on patients and their families, who are left impoverished, often without any support to confront a life-changing illness and frequently disbelieved. “The film is hard hitting, raw and heart-breaking, showcasing experiences many of us have had first hand. That alone should make a difference. “Sadly, as we know, money talks and hence the Countess of Mar presented the latest estimates on the economic cost of ME/CFS in the UK: £3.3billion pounds per year! This must now inspire elected policymakers to be stronger allies and support a better future for all. 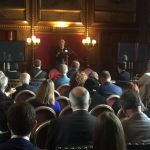 “The ME Association wants a much better outcome for patients and the economy and I sincerely hope that today’s event shows that political and medical experts are coming together to learn more about these difficulties, to listen and be part of the effective team that finally lifts the stigma associated with ME/CFS. 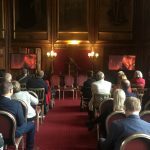 Given the fact that MPs are busy people, and constantly moving from one meeting room to another, it was great to see how many stayed for all the presentations and for the film – as well as others who just popped in for a short while. I cannot recall a parliamentary meeting, including many years of attending the All Party Parliamentary Group on ME meetings, where we have had so much genuine interest in ME/CFS – and this included several high-profile names from all political parties and from all parts of the UK. 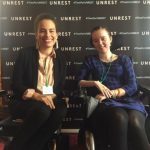 The format to the meeting worked well – a slightly delayed start was caused by the fact that Jen Brea, Jessica Taylor-Bearman, part of the Shella film team and myself were waiting for wheelchair assistance to take us under the Westminster Bridge road from Portcullis House to the House of Commons. We finally managed to arrive 10 minutes after the meeting was supposed to start! But this meant that MPs could mingle and talk to charity and film representatives while waiting – as well as with our paediatric medical adviser Dr Nigel Speight, infectious diseases specialist Dr William Weir, members of the UK ME/CFS Biobank team and Professor Jonathan Edwards. The Countess of Mar gave the first presentation. This focussed on the enormous cost of ME/CFS to the UK economy in terms of lost taxation, benefit payments, medical costs etc. and the findings of a new report that has estimated this to be around £3.5 billion per annum – a subject that is always of interest to MPs! “Rachel said that she had spoken with two lovely MPs – Carol Monaghan (SNP) and Lady Sylvia Hermon (IUP). “The latter said she was very interested in helping people with illnesses that have little support from Government or from private funding. The main stumbling block here isn’t cost – it is far more a question of persuading the medical establishment and government that people with ME/CFS are not getting a fair deal when it comes to the way their illness is both researched and managed. We then had a screening of a 20-minute segment from the film, which was followed by a very moving presentation from Jen Brea, and then an opportunity for questions and informal discussion. “It was very encouraging to see just how many attended the screening event today and how long they remained to network with others. “Vince Cable arrived very early to show his support for our work and to express how important it is. He had to rush to attend a debate but said he wanted to make sure we knew that we had his support. “The event was attended by MPs from Labour, Conservative, Liberal Democrat, SNP, and even DUP. All expressed concern for their constituents who wanted more to be done for ME/CFS patients. This did not seem to be in question. “There were questions asked about degrees of severity, whether people recovered themselves over time, and where specialist care could be obtained. “Margaret, Charles and Jen set out the economic cost of not investing more in biomedical research, the current state of services and research, plus the considerable human impact on patients and their families. 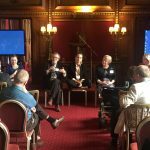 “Representatives from many ME charities attended and were very keen to collaborate to move forward, and some of the medical professionals who attended expressed a keen interest in carrying out research and making the case for more funding. Talking to people in the interconnecting rooms that formed this impressive venue it was clear that they found the film to be powerful and thought provoking. The parliamentarians also appear to have grasped the key messages being made about the urgent need for better medical education, a biomedical research strategy here in the UK that would link in with the NIH initiatives in America, and appropriate management of this illness for everyone – the young, and the severely affected, in particular – wherever they live in the UK. The next step is clearly to maintain the momentum that this event has achieved in relation to parliamentary interest. This is something that we will be discussing at the Forward ME Group meeting next week – where the long-awaited review of the NICE guideline on ME/CFS is the main topic on the agenda! Why not join the ME Association as a member and become part of our community? For an annual payment you will not only be helping to keep us doing what we do best, but you will receive ME Essential magazine – with exclusive content – delivered straight to your door. And, if you join by annual standing order, you can select £10 of free leaflets from the most extensive range available on the internet. Thank you to everyone who was involved in making this event a success. It does look a brilliant effort. It’s great some attended, but no surprise on how few and no surprise that my own MP didn’t attend. Not many conservatives there. Regret I never got in touch with my M.P. Had a really sluggish month. I was extremely pleased that over 50 of our representatives attended.They are very busy individuals and have many roles to play; my own MP gave me his apologies in advance,being a party whip he had prior committmens.we must celebrate the success of the event in bringing our plight to the attention of the people in positions of power,the ones holding the purse strings! My sincere thanks to all involved,I realise and appreciate the hard work involved in arranging an event such as this.As always on occasions like this one hesitates to single out any one individual (it’s a team effort). but I feel I should offer my heartfelt gratitude to Rt Hon John Bercow MP for arranging the use of the State Rooms in the Speaker’s Residence; this raised the profile of the event,and with it our struggle for recognition, tremendously. Thank you all!!!!!!!!! I havent seen the film yet but am waiting to order it on dvd in December. With the publicity from jennifers film this past month it has renewed my resolve and hope that one day I may get better. So good to be part of the Association and connect up with other sufferers all over the world. I emailed my MP Mike Wood after the event, he was very interested in seeing the film. He’s been a tremendous help in helping me obtain my blue badge, PIP and ESA. HMRC lost my NI contributions hence denying me ESA he fought my corner. Same with PIP he understands chronic illness, nearly died himself from sepsis in 2016, he said he will help in any way he can. That’s terrific Anthony. Thanks for your comment.